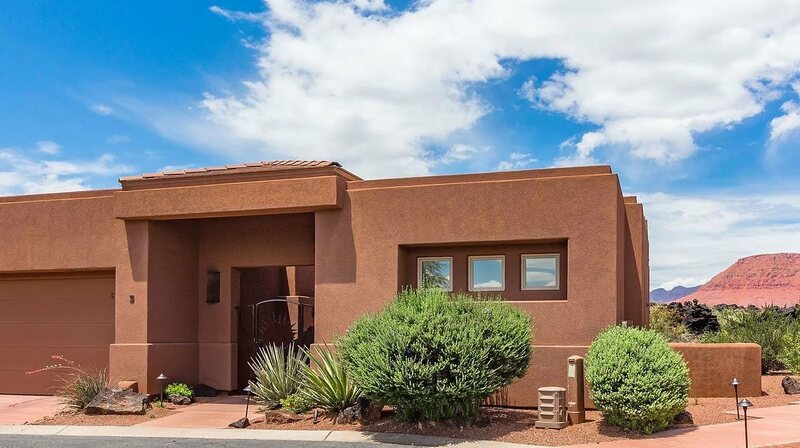 Our gated community of 20 luxury homes in St. George includes an outdoor community pool and hot tub. Each home has secure wi-fi, a 2-car attached garage, laundry room with washer and dryer, gas fireplace, granite kitchen countertop, and slate flooring throughout the kitchen and bathrooms. Just select your dates on the "Book Now" option to see your special discount. There are fewer crowds during the summertime and we are offering discounts for our guests. Don't forget there are many reservoirs nearby for jet skiing, wake boarding, fishing and kayaking, just to name a few. Summer is a great time to hike Zion's "The Narrows", located in a breathtaking red rock canyon surrounded by shade and water. We are conviently located in a gated community providing more security for your A.T.V. 's, boats, jet skis, and razors. Tuachan's "Broadway in the Desert" is enjoyable for all ages. This year Tuachan is featuring Matilda, Prince of Egypt, and Cinderella. Book with us and save 20% on your tickets! Stay with us and make summertime memories that will last a lifetime. 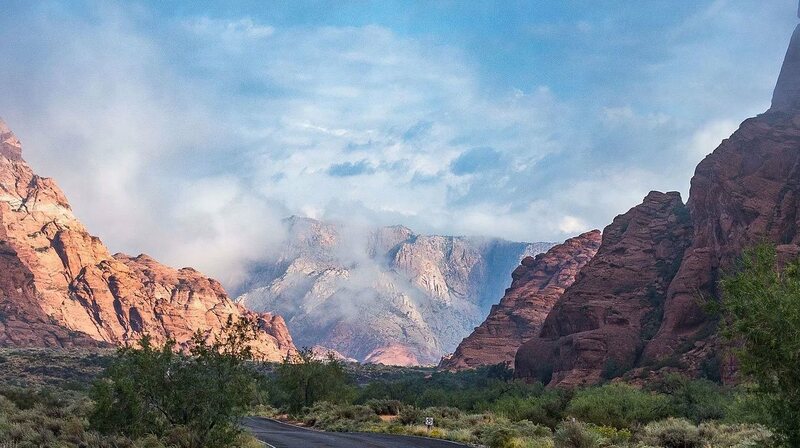 Located on the west side of St. George, Utah and conveniently near Snow Canyon and Tuacahn Amphitheater, our luxurious Entrada Vacation Homes are surrounded by some of the most breathtaking red rock scenery in the world. This area is fondly referred to by the locals as "color country." Our 2 and 3 bedroom vacation townhomes are all smoke free. We have one 2 bedroom home that is "dog friendly" and one 2 bedroom home that is handicap accessible. SO MUCH TO SEE AND DO... CLICK TO LEARN MORE! If I had to say one word....PERFECT!!! The location was perfect, nice having a gated entry and the house was the right size for the four of us. The manager there was very helpful. Everything about this property made our seven night stay enjoyable! We had no problems and the home (Sand Point #3C) was lovely. The property was immaculate and honestly looked like a model home. Beautiful, Clean Home - Great Location! Beautiful home, well stocked, very clean. It was exactly as advertised. Lem (the property manager) was great to answer questions and even brought us over a BBQ grill when we asked. 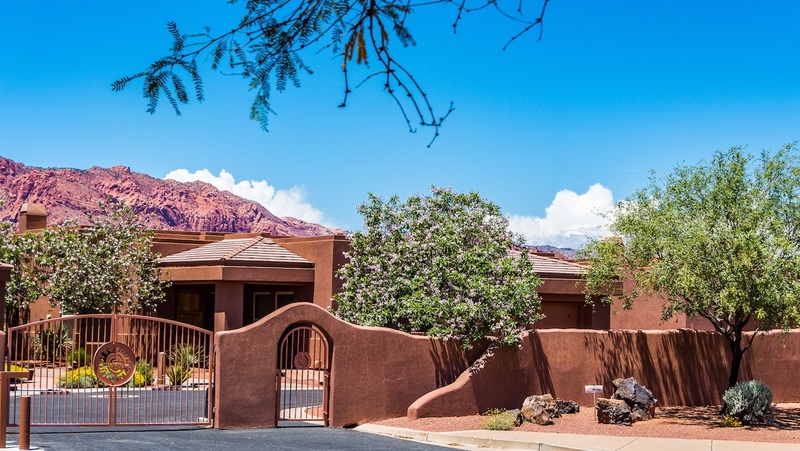 Enjoy our luxury vacation homes and gated community located in St. George, Utah - home to some of the most beautiful red rock scenery in the world. We are conveniently located near grocery stores, restaurants, sightseeing, and quaint shopping, and just over the boarder of St. George into Santa Clara, Utah. There is a new, gourmet Harmon's Grocery Store to the west of our properties, only 1 mile on Pioneer Parkway. 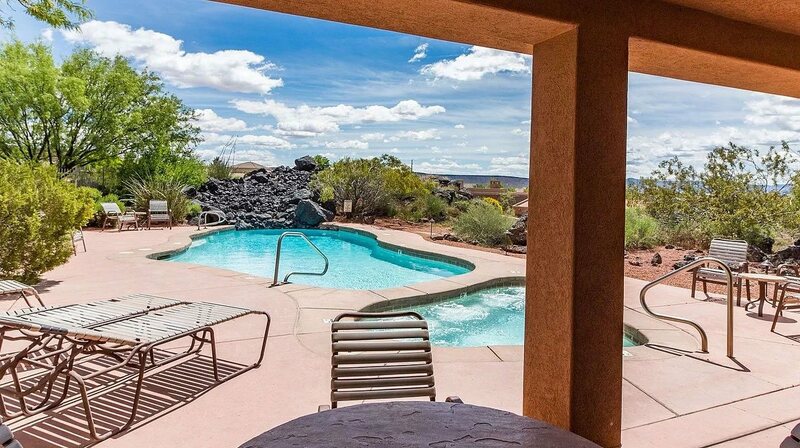 Learn more about our exclusive luxury vacation homes on the west side of beautiful St. George. Get in touch with us and start planning your adventure today.